Victoria has performed live on Radio 3 with the orchestras including the BBC Scottish Symphony Orchestra and the City of London Sinfonia, as well as in the major concert halls in the UK including the South Bank Centre, Cheltenham International Festival and Glasgow Royal Concert Hall. Commissioning a bass clarinet concerto by Thea Musgrave entitled Autumn Sonata, she recorded this and Musgrave’s clarinet concerto with the BBC Scottish under the direction of the composer. 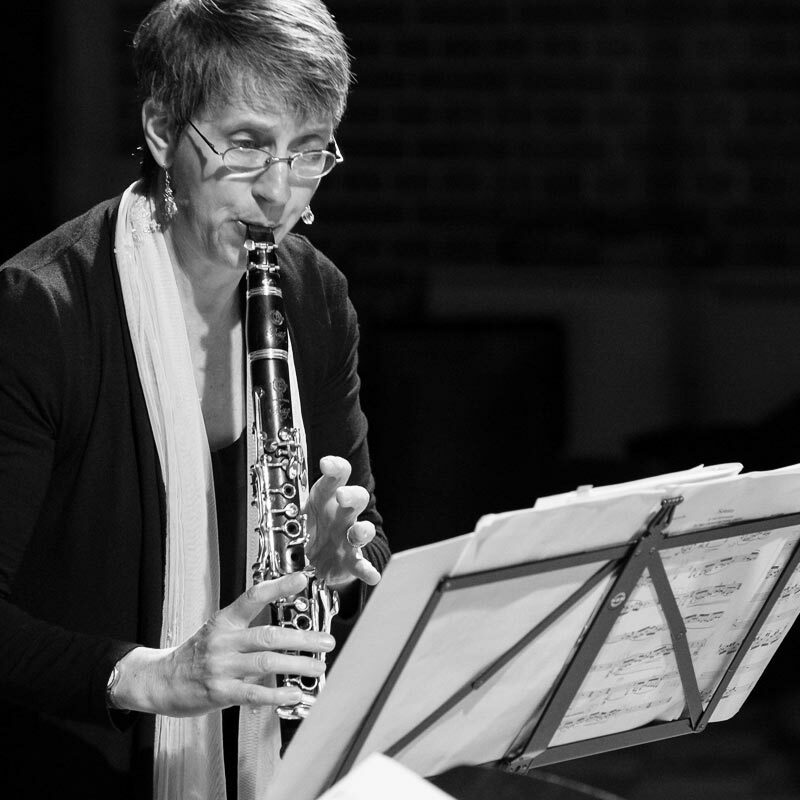 ‘Victoria Soames Samek projected the personality of the bass clarinet and Thea Musgrave’s music with technical mastery and glowing musicianship.’ Musical Opinion. Victoria offers a wealth of concertos: from the clarinet repertoire, the much loved Mozart Clarinet Concerto K622 to the British pastoral piece of the 20th century, the Concerto by Gerald Finzi. She is equally at home with the virtuosi early romantic concertos by Weber, the rare romantic concerto by Stanford and Copland’s jazzy clarinet concerto and the rarely heard masterwork concertos from the 20th century by Goldschmidt and Françaix.